How Brian started Fitz’s Fish Ponds has an interesting story. At age 13, while his parents were away on a vacation, Brian had the idea to build something special in their backyard. When his parents arrived home they found a beautiful new pond water feature, and Brian had found a new business. Ever since Brian has been focused on building a business creating amazing outdoor environmental experiences for clients all over the North East. His vision for Fitz’s Fish Ponds is to focus on bringing the highest quality Koi fish from Japan, building amazing landscapes ponds and water features, while finding cutting edge technology for clients and customers. 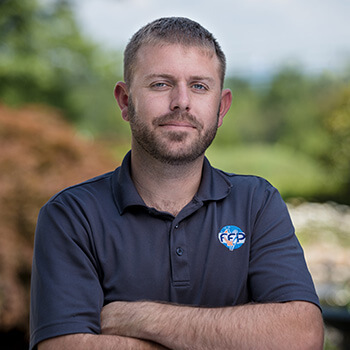 Since the beginning, Brian has focused on building a strong team for the continued growth of FFP. Brian loves to spend time outdoors enjoying the sunshine and fresh air. You can find Brian on a mountain, in the ocean, at clients homes cleaning filters…or most likely at the shop leading the team. If you have questions about anything, do feel free to ask Brian.